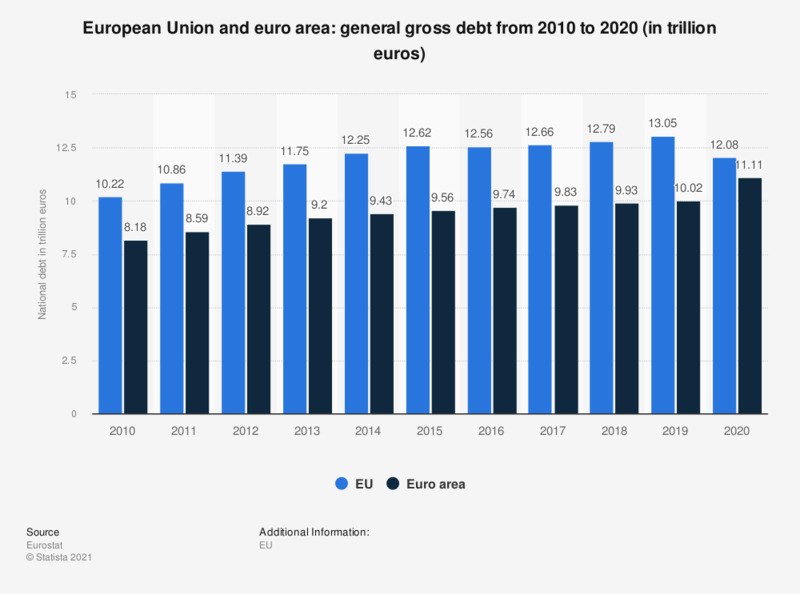 This statistic shows the general gross debt of the European Union and the euro area in trillion euros from 2010 to 2017. In 2017, the debt of the European Union amounted to approximately 12.5 trillion euros. The figures refer to all current member states of the European Union, i.e. including those which were not members of the EU before.